This illuminating new series is devoted to the neglected reception history of the Bible. The Blackwell Bible Commentaries explore the way the bible has been--and still is--used in hymns, sermons, official church statements, and the like; its role in the evolution of religious beliefs and practices; the way it has influenced social and political developments; and its influence on literature, music, and the arts. 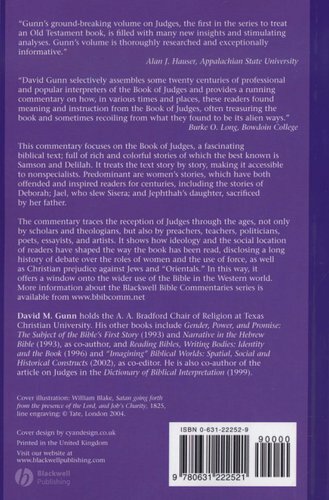 The Book of Judges is fascinating biblical text, best known for the tale of Samson and Delilah, but containing many other rich and colorful stories. 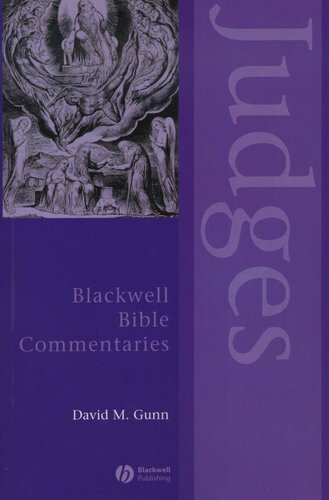 This commentary examines how the book has been received and interpreted through the ages not only be scholars and theologians, but also by preachers, teachers, politicians, poets, essayists, and artists. The commentary treats the text story by story, making it accessible to specialists and general readers alike. It shows how ideology and the social location of readers shape the Bible's reception. Predominant are women's stories, which have both inspired and offended readers for centuries: Deborah; Delilah; Jael, who slew Sisera; and Jephthah's daughter, sacrificed by her father. The reception of Judges discloses a long history of debate over the roles of women and the use of force, as well as christian prejudice against Jews and "Orientals." The stories also have provided doctrine for the faithful, subjects for artists, and lessons for life. 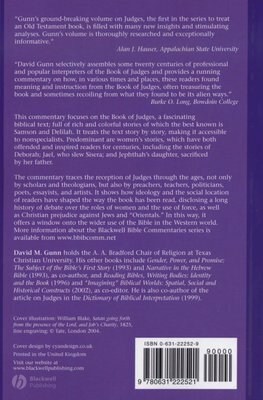 Judges, in this commentary, offers a window into the use of the Bible in the western world.